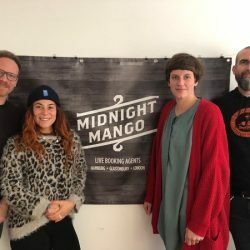 Very proud to announce the birth of our new sister company Midnight Mango Hamburg. Swingrowers are an accomplished four-piece band from Palermo in Sicily. Their sound ranges from jazz to hip-hop, electronica to gypsy swing but has been steadily evolving since their debut into a unique vintage-inspired pop. 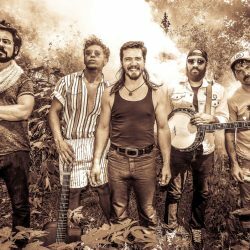 With more than 20 Million views on YouTube, they are known for their energetic live shows that showcase their string of catchy songs and has led them to touring with the likes of Caravan Palace and Parov Stelar. Swingrowers have toured North America, Europe, Japan, India and have performed at hundreds of festivals around the world including 2 Sold out shows at Blue Note Tokyo. Pleased to announce that we are now booking for Sick Love. SICK LOVE deliver a high-energy, no holds barred rock show all wrapped up in the most anthemic songs. 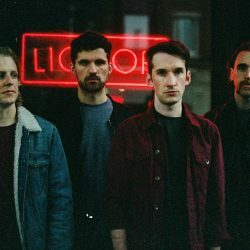 Described by Hot Press magazine as “defiantly pushing against the grain of indie and folk bands in Ireland”, they broke through with sold out shows as well as festival slots at Electric Picnic and Indiependence. 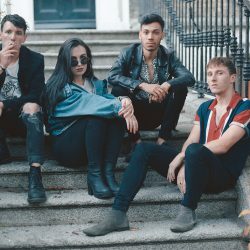 The band were quickly marked by many as ones to watch, with the Irish Times preaching they are “set to join the Super League of Irish rock bands”. Pleased to announce that we are now booking for Danny Bryant. Riding high on the European blues scene for over 15 years, Danny has carved a name for himself the old-fashioned way having played over 2,000 club and festival shows to his many fans around the world. Hailed as a ‘National Blues Treasure’ (Bernard Doherty, Planet Rock Radio), Danny is acknowledged by those in the business as one of the ‘cream of the crop’. Pleased to announce that we are now booking for Dessie Magee. Irish Brighton based troubadour Dessie Magee is a modern Folk-Rock singer-songwriter who incorporates elements of rock, blues, punk and soul. Pleased to announce that we are now booking for The Wood Burning Savages. The Wood Burning Savages are a fast paced punk rock band who proudly wear the rebel spirit of their home town on their sleeves. Pleased to announce that we are now booking for Elles Bailey. She has a talent for crafting and seamlessly weaving rootsy blues, country, and soulful rock, with a contemporary edge. Pleased to announce that we are now booking for Whiskey Shivers. Pleased to announce that we are now booking for Stephen James Smith. 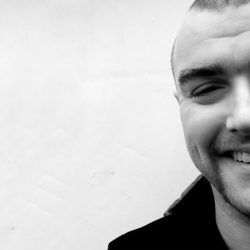 Stephen James Smith is a Dublin poet and playwright central to the rise of the vibrant spoken word scene in Ireland today. To date, his poetry videos have amassed over 1 million views online.